Rita Ora sealed off her look with a stylish red backpack. 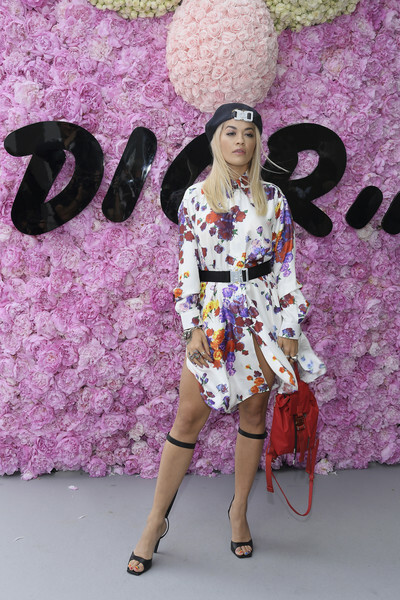 Rita Ora went for a colorful floral shirtdress by Dior when she attended the label's Menswear Spring 2019 show. Rita Ora styled her dress with funky knee-strap heels.